Domestic production of television will be boosted with the government\'s announcement to reduce customs duty on a key component used in low-end models and LED/LCD panels. 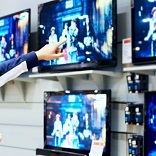 NEW DELHI: Domestic production of television will be boosted with the government's announcement to reduce customs duty on a key component used in low-end models and LED/LCD panels. In the Budget for 2014-15, Finance Minister Arun Jaitley proposed to exempt colour picture tubes from basic customs duty to make cathode ray TVs cheaper, while reducing it to zero from 10 per cent on LCD and LED TV panels of below 19 inches. Besides, in a move to encourage manufacture of LCD and LED TV panels, Jaitley proposed to exempt specified inputs used in their manufacture from basic customs duty. Commenting on the announcement, Consumer Electronics and Appliances Manufacturers' Association (CEAMA) said it would help in indigenous manufacturing of panels. "The Minister has taken steps to boost domestic production of electronic items and reduce our dependence on imports," said CEAMA President Anirudh Dhoot, who is also a director in Videocon Industries. CEAMA General Secretary Suresh Khanna said removal of duty on import of picture tubes of CRT TV would help small manufacturers. "CRT TV, which is manufactured by the small players and sold mostly in rural areas would get a new life as its market was declining rapidly. It would make CRT TV cheaper by Rs 150 to Rs 300," he added. At present, only a handful of manufacturers make CRT TVs. Videocon is one of the branded nationwide players in the segment selling its products at a price starting from Rs 4,990 for 14 inches screen. Big manufacturers such as Samsung, Sony, Panasonic have stopped selling CRT TVs and are also not present in the LED/LCD segment below 19 inches. Haier India President Eric Braganza said the exemption of basic custom duty on panel components will further push manufacturing of flat panels in India thereby helping it to become a hub. "Overall we feel that the Budget will have a positive impact on the industry and help it grow further," he said. Low cost LED/LCD TV maker Arise also said that the Budget has signaled encouragement to production of LCD and LED TVs in the country and will be much beneficial to domestic manufacturers. "We welcome the proposals set forth in the Budget and welcome the policy measures," said Arise India Managing Director Avinash Jain. Panasonic India MD Manish Sharma said the extension in the time period of reduced excise duty and exemption of flat copper wires from excise duty will further boost the future growth and the economy overall.